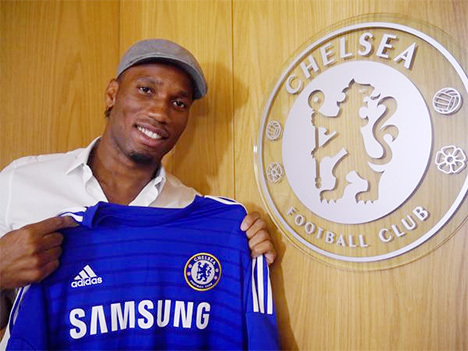 The Chelsea legend, Didier Drogba, is back with his old club after signing a one-year contract. The Ivory Coast international spent eight years with Chelsea, where his last touch of the ball was the 2012 UEFA Champions League final winning penalty kick vs. Bayern Munich. Things really did end perfectly for Drogba at Chelsea FC the first time around. During the last two seasons, Didier briefly played in China and then spent 18 months at Galatasaray. Chelsea now have three physically strong strikers in Diego Costa, Fernando Torres and Didier Drogba. Maybe Romelu Lukaku will be around this year as well?